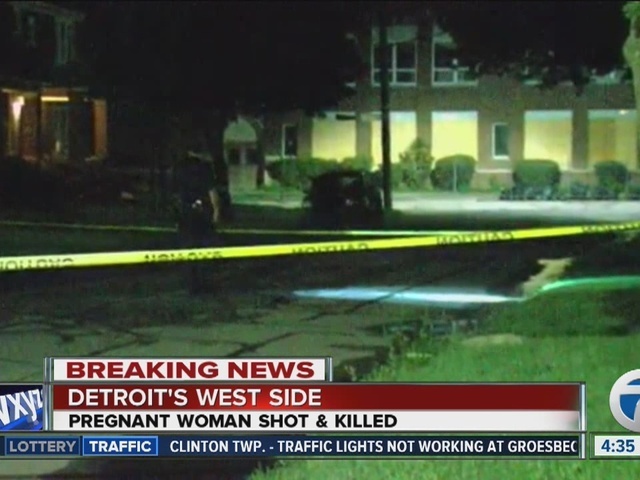 Police continue searching for the person who shot and killed a 21-year-old woman who was nearly seven months pregnant. 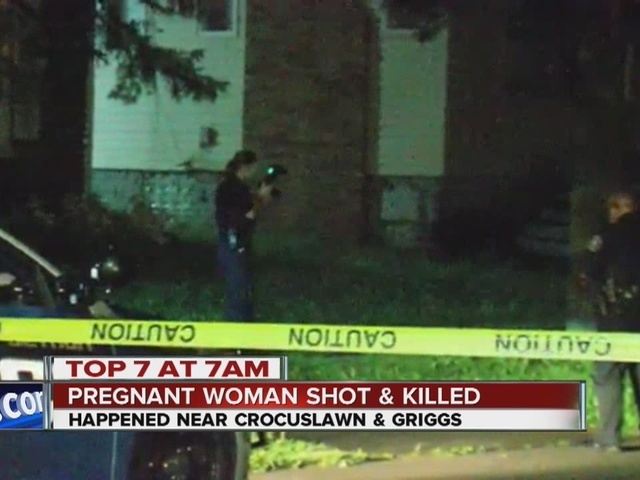 The shooting happened on Detroit's west side on Crocuslawn near Griggs. Neighbors tell 7 Action News they heard four to five shots go off around 11 p.m.
Action News learned the woman, Bionka Lyons, was standing by her car when she was shot in front of her family's home. She was taken to the hospital where she and the baby were both pronounced dead. The victim's coworker, Lee Straughten, tell us Lyons worked as a clerk at the U.S. Post Office, usually at the downtown location. "It's going to be a long day at the post office for us, but it's not about us. It's about her and her family right now." He drove to her home on Crocuslawn after hearing the initial reports of her death. Straughten calls her a great friend, coworker and mother-to-be who was preparing for her child's birth. "She was excited. She came and made her rounds at the post office letting everyone know, because she knew everyone would be excited for it. Bionka was a good girl and everybody thought highly of her." If you have any information about this shooting please call Detroit Police or remain anonymous by calling their Crime Stoppers tip line at 1-800-SPEAK-UP (1-800-773-2587) or text your tips to CRIMES (274637).Stay with WXYZ.com for updates on this developing story.